On sale now at our certified Kia dealership near Longview, the new Kia Soul is a strong choice for a small crossover or wagon. With the new Soul, you’ll have three different engines to choose from, including a turbocharged 1.6L 4-cylinder with 201 hp. Despite its compact profile, every new Kia Soul can comfortably seat up to five adults, and, with the rear seats folded, the cargo area opens up to reveal a maximum area of 49.5 cubic feet. Contact us to schedule your test drive today! Is the Kia Soul a Good Car? 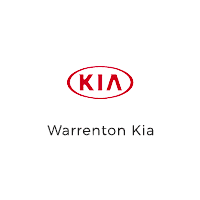 Check out your financing options on the Kia Soul today at Warrenton Kia, where we have plenty of exciting new Kia deals to offer, as well as the current national incentives, all of which make it easier for you to drive home in a new Kia Soul for less.